Protecting the iPad can range from making sure the tablet can withstand a drop to securing it in the unwanted instance of theft. For the security conscious, there are many ways you can make your iPad safe. And even if you aren't as worried about security, a few of these features can help out if you simply lose your iPad -- even if you lose it somewhere in your house! 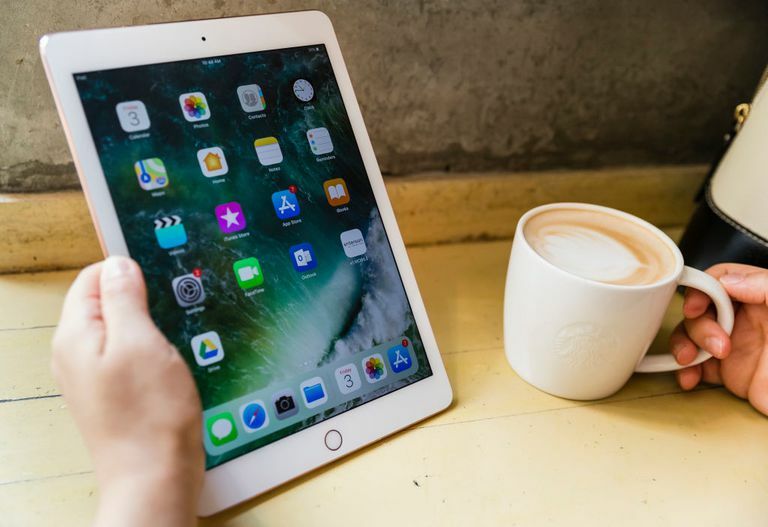 If you are worried about security, the very first thing you should do with your iPad is to set a passcode lock to keep prying eyes (and fingers) out of your tablet. In fact, Apple urges people to do so during the iPad's initial setup. But if you missed it, you can go into the iPad's settings -- which is really just an app named Settings -- and set one for yourself. Simply choose "Passcode" or "Touch ID & Passcode" from the left-side menu to get started. Don't want to type in a passcode every time you want to use your iPad? This is by far the most popular reason why people bypass the passcode for their iPad and iPhone. If you have an iPad that supports Touch ID, you can actually use your fingerprint to open your iPad. So there's no reason to skip the passcode! Now that you have a passcode set up, you'd think your iPad is secure, right? Not so fast... While you are in the Passcode settings, look for the section titled "Allow Access When Locked". Your notifications, calendar events, and Siri can all be accessed while on the lock screen. For some, this is a great convenience, but if you want to make sure no one can see any of your personal information without putting in that code, be sure to turn these features off. A constant war against hackers who want to peek into our devices and steal our secrets might sound like the plot of a bad science fiction movie, but it isn't too far off the mark. While it is unlikely digital crime or identity theft will ever happen to you, it's important to make sure you are doing what you can to remain secure. And the best way to do that is to always install the latest iOS updates on your iPad. These updates include security fixes that will help keep your tablet safe. Don't close out of settings quite yet. We still have a couple of things to do before your iPad is secure. First, we need to skip to the iCloud settings. Simply choose iCloud from that left-side menu. By default, you should have an iCloud account that has the same username as your Apple ID. If you didn't set one up with your iPad, you can set one up now by tapping the button at the top of the screen. Find My iPad is a feature that not only allows you to find out where your iPad is located, it also lets you turn on Lost Mode, which will lock the iPad and display your phone number, and even erase the iPad remotely, so any would-be thieves can't get to your sensitive data. You can also use Find My iPad to play a sound on your iPad just in case you lost it somewhere around the house. You don't want to forget about protecting your data! In the event that you need to reset your iPad, you definitely want to make sure you can get your documents and data back on the iPad. This setting is also in the iCloud settings. Similar to entering a passcode, Apple urges you to turn on iCloud backups during the set up of the iPad. However, you can turn this setting on or off in iCloud setting as well. The Backup setting is just above Find My iPad and Keychain. Tapping on it will take you to a screen where you can turn automatic backups on or off. If they are on, your iPad will back up to iCloud when it is plugged into a wall outlet or to a computer. You can also choose to do a manual backup from this screen. If your automatic backups were turned off, it is a good idea to do a manual backup at this point just to make sure you have a backup. Let's not forget to actually protect your investment from drops and falls! A good case depends on exactly what you will be doing with your iPad. If you are mostly going to use it for home and light travel, Apple's Smart Case is a great option. Not only will it protect the iPad, but it will also wake the iPad up when you flip open the cover. For those who will be traveling with the iPad on a regular basis, a more sturdy case is in order. Otterbox, Trident, and Gumdrop make some great cases that can withstand drops and even protect from more rugged activities like hiking, rafting or boating. Believe it or not, Apple Pay is one of the safest methods of payment. This is because Apple Pay doesn't actually transfer your credit card information. Instead, it uses a code that only works for a limited time. Unfortunately, the iPad doesn't support near-field communications, so paying at the cash register isn't possible on an iPad. Of course, you probably don't carry your iPad around in your pocket either. But Apple Pay can still be useful on an iPad. A number of apps support Apple Pay, which can give you an extra layer of security. The process for adding Apple Pay to your iPad is fairly simple. In the Settings app, scroll down the left-side menu and choose "Wallet & Apple Pay." After you tap Add Credit or Debit Card, you will be guided through the steps for adding a credit card. The cool thing is you can snap a picture of your card to make the process much faster.